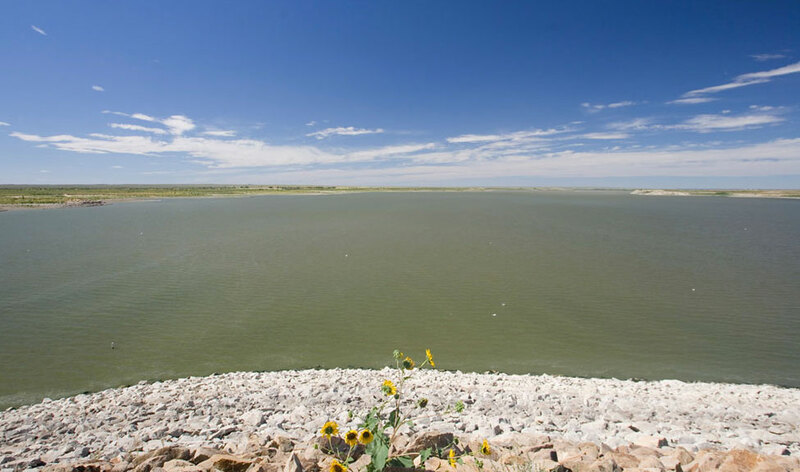 Experience southeast Colorado’s high-desert plains, where sweeping grasslands, vast blue skies and sleepy towns lead the way to John Martin Reservoir State Park. This remote retreat offers an abundance of wildlife and outdoor recreation, as well as year-round camping at Lake Hasty Campground. Anglers can reel in warm-water fish such as bass, wiper, crappie and catfish, and birders will have plenty to see, with more than 370 documented bird species in Bent County. Hike along the 4.5-mile Red Shin Hiking Trail to see Indian carvings and historic pioneer sites, such as the Rock Art Site, Historic Canals, Prowers-Hudnell Ranch and the Santa Fe Trail marker. During the warmer months, spend the day at Lake Hasty, where you can enjoy swimming, boating and picnicking by the shoreline. During the winter, watch thousands of snow geese migrate in formation and effortlessly glide into the John Martin Reservoir. Summer months are ideal for watching a picturesque sunrise over glistening, dew-covered plains.